North American audio specialist Sonos has just unveiled a new partnership with Spotify that will enable Preimum subscribers to control their Sonos home sound system direct from the official Spotify app. The update, which is due to roll out in October, will be the first time Sonos has partnered with a music service, and the first time it has enabled another app outside its own software (picrured below) to control its line of electronic audio products. "We're excited to partner with Sonos and enhance the at home listening experience," comments Gustav Söderström, chief product officer at Spotify. "Spotify listeners can now seamlessly transition their listening throughout the day from their headphones, to the car, to their computers, to their Sonos system at home with complete control of all their favourite Spotify features directly from the Spotify app." The new app features offer the power to play, pause and skip tracks as well as the ability to group and ungroup songs. And, since Sonos products can be controlled away from your home Wi-Fi connection via the Spotify app, you can set up your audio from afar and have your tunes playng before you walk in the door. 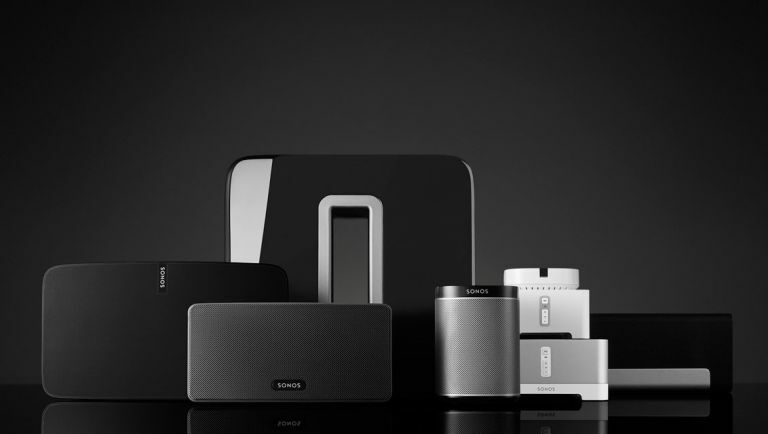 Sonos isn't stopping there with the partnerships either. It's just inked a deal with Amazon to bring the company's voice-enabled Alexa software to Sonos. Thanks to some fast approaching software integration, you'll soon be able to control your Sonos products via any Alexa-enabled devices (such as the Amazon Echo) with simple voice commands. "With the unprecedented growth in streaming, music has become abundant and immediate," says Sonos Chief Executive Officer John MacFarlane. "Together with a growing ecosystem of partners, we're making sure Sonos owners can easily play the music they love out loud in every room in the home, and intuitively control that experience using our app, our partners' apps, touch and voice." The firm also announced a raft of other partnerships, including one with music service Pandora and connected home makersCrestron, Lutron, Savant, Control4, iPort and Deutsche Telekom's QIVICON.